Some days the creativity just doesn’t flow like we want it to. Sometimes coming up with ideas—and turning those ideas into blog posts or work product. So, what can you do to get the creative faucet flowing when you feel all tapped out? Here are seven ways I have found to boost your creativity when you’re just not feeling it. Change Your Scenery—Whether it’s rearranging your office, going out for a walk or taking a mini-vacation, sometimes what we really need is to look at experience something a little different. Whether it’s simply rearranging the office to change your perspective or getting out for a complete change of scenery, a new view can open your mind to new ideas. Go Shopping—I am definitely not a mall rat. Shopping is NOT on my list of favorite activities. But when I am in need of new ideas, I have been known to not only hit the mall, but the tourist shops too. Enjoying and analyzing the creativity of others can help jump start your own creativity. Visit a Museum—Does the thought of shopping give you hives? Or are you a spendthrift who will blow your budget instead of getting inspired at the mall, try visiting a museum or art gallery. It doesn’t have to be an art museum. In fact, a zoo, aquarium or botanical garden can be just as inspiring and enjoyable—and just as inspiring. Do Something New—Feeling stale? Learning a new skill and doing something you haven’t done before stimulates your mind and can help recharge your creativity. 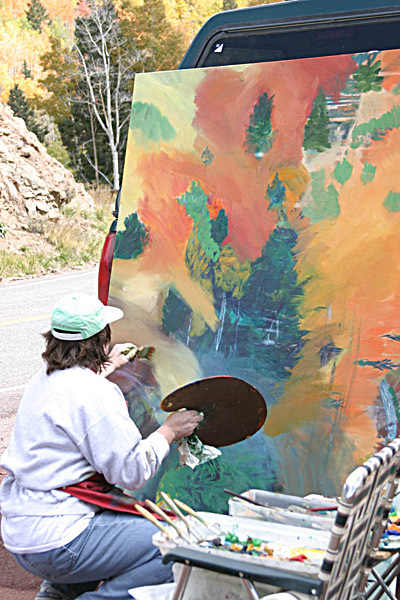 It can be anything from making a new recipe, learning to play a musical instrument, trying your hand at painting, drawing, knitting or some other creative endeavor. Just make it something enjoyable. Frustrating yourself with an activity you aren’t enjoying is not the path to creative bliss. Create an Inspiration File—Begin assembling a file of things that catch your eye. It can be a physical file, a list of bookmarks or a computer folder of downloads. I have all three: favorite websites that inspire me, a folder of downloaded images, pdf’s and other files that I find amusing, inspiring or otherwise interesting, and a folder on my desk that holds clever ads that come in the mail, tear sheets from magazines and flyers, ads, cards, invitations, etc., that have interested me in some way. When I need some inspiration, I turn to one or all three of these resources to trigger ideas. Read a Book—Whether you’re an avid reader or not, go pick up a new book and start reading. It doesn’t need to be on a subject related to your work. In fact, sometimes something completely different is the best idea. Try a genre you haven’t read before. Even children’s books can be full of new inspiration. Pictures books, cookbooks, novels—the key is reading something different than your usual fare. Buy a Coloring Book— “Grown up” coloring books are all the rage these days. 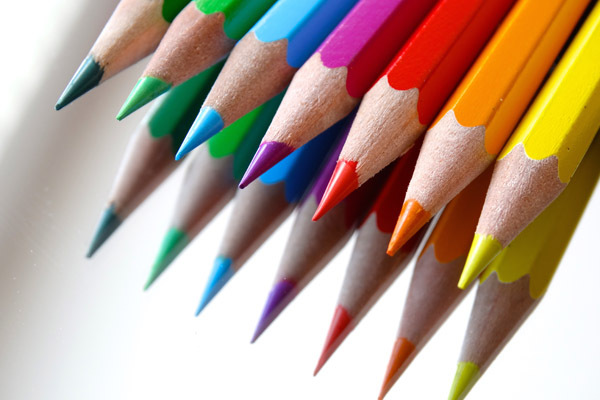 Studies show that coloring is second only to meditation for relaxation and stress relief. Very often when we aren’t feeling creative, we just need to let ourselves unwind and relax. Coloring can be just the way to do that. Those of us who aren’t disciplined enough to set still and meditate can still unwind and let our minds relax with a coloring book and a set of colored pencils. These seven things have worked for me. What has worked for you to boost your creativity? Share in the comments below.